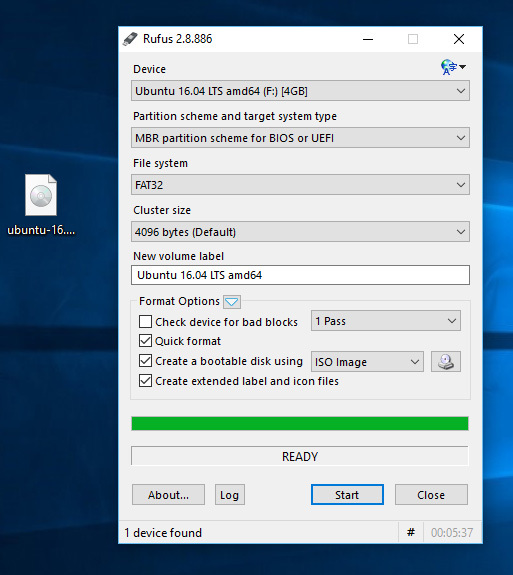 If you are having troubles with the BalenaEtcher tool which we recommend to install Linux on a USB stick, another free tool which Ubuntu recommend is available. It’s called Rufus. 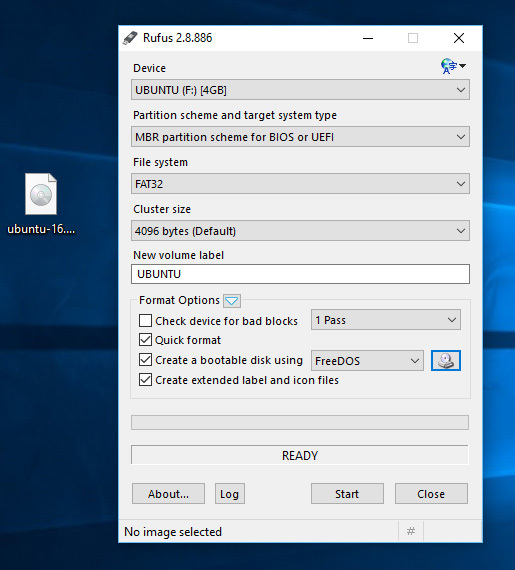 Follow these steps in order to install a Linux ISO that you have downloaded, onto a USB stick. Make sure there’s nothing on the USB stick you want to keep, as it will be erased. First things first, Download it here (https://rufus.akeo.ie/). It’s free. Choose your USB stick from the dropdown entitled ‘Device‘. 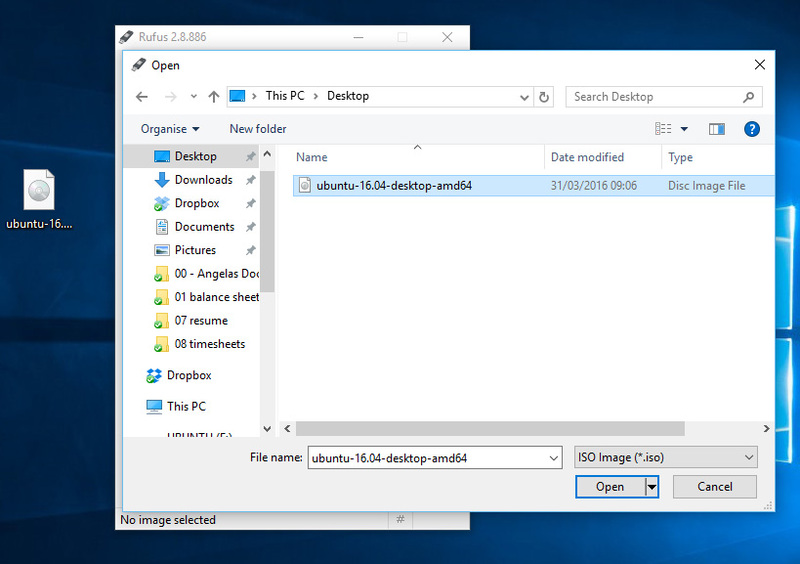 Further down on the right hand side you’ll see a CD icon with a little box under it, click on that and an ‘Open’ dialog box will appear, locate the ISO file that you downloaded and then click Open. 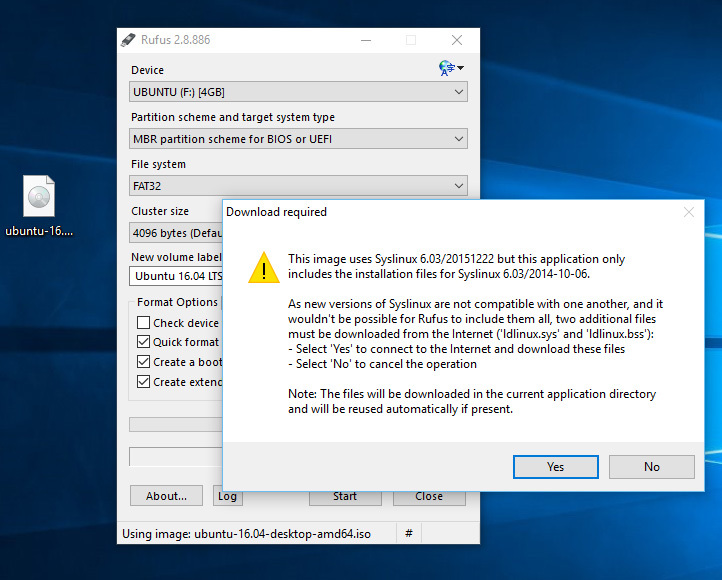 You’ll be asked if it’s OK to download the SYSLINUX software. Click ‘Yes‘. Once that’s done, you’ll see a dialogue about an ISO Hybrid image being detected. Simply click OK (Write in ISO Image mode). 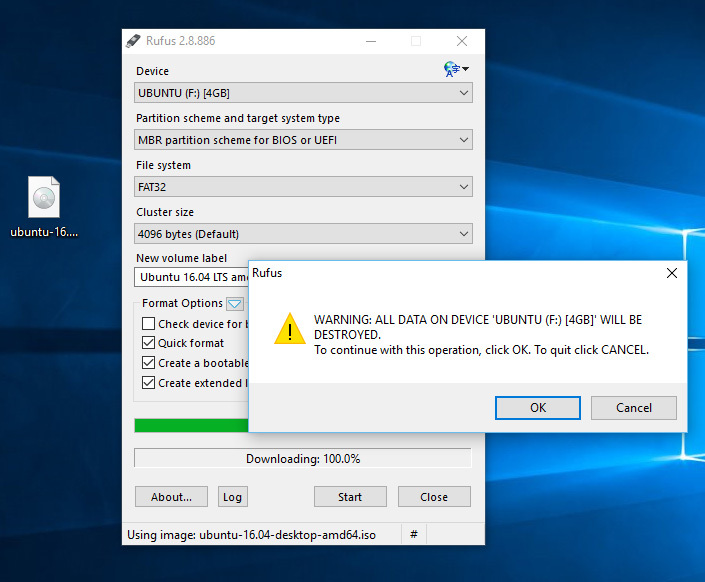 Confirm that you selected your USB stick and not another one by accident! Take note that any data you have on the USB stick at this point will also be deleted. Press OK.
Once that’s done it will take some time to ‘burn’ the image to your machine. Close the tool when done and restart your machine, making sure to start (boot) your machine from the USB media. That’s it!